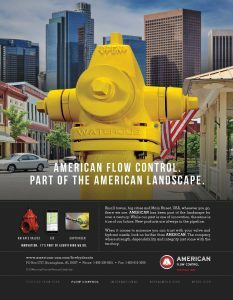 For the second time in three years, AMERICAN Flow Control has been recognized by AWWA for its advertising efforts. 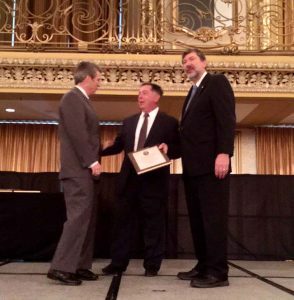 The “AMERICAN Landscape” ad received the Bronze Award for Best of Show Advertising in the Journal – AWWA. 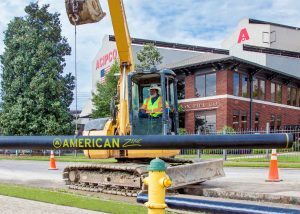 In Birmingham’s ACIPCO-Finley neighborhood, a 2-inch water pipe that services the neighborhood was leaking. 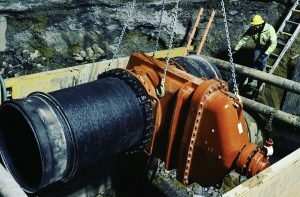 An upgrade was needed to improve water supply and pressure, and to fix the leak to conserve water resources and avoid damage to the road. 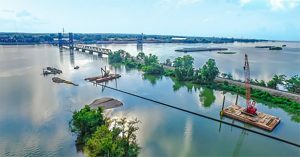 Trimble, working with AMERICAN Flow Control (AFC), recently introduced a free web and mobile application called AFC Mapper. 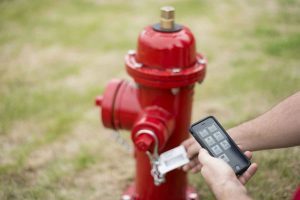 The app is designed to be used with the latest version of Trimble Unity software, AFC 2D barcodes and Esri GIS technologies. 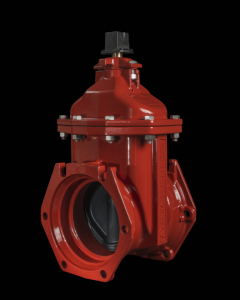 Waterous Company recently unveiled a red, white and blue single-stage CS pump, showcasing the company’s pride in manufacturing its products in the United States. 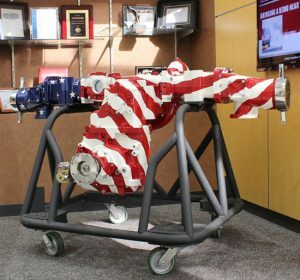 The pump sits in the front lobby of Waterous’ manufacturing facility. 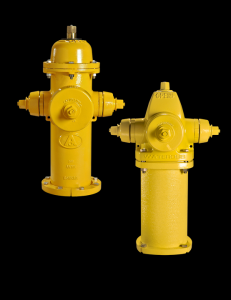 AMERICAN Flow Control’s Captivater locking fire hydrant cap can help water utilities prevent water theft and lost revenue, and ensure water and water pressure availability to firefighters. 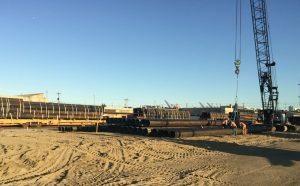 AMERICAN Ductile Iron Pipe and AMERICAN Flow Control unveiled a new Earthquake Joint System to protect water infrastructure during seismic events last year. 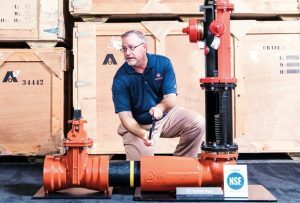 This system is on display at ACE16, Exhibit 1101. 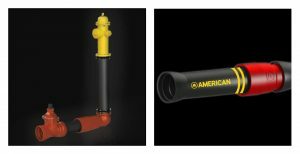 AMERICAN Flow Control is introducing its Series 3500 resilient wedge gate valve for use in drinking water, wastewater and fire protection systems that might need a higher pressure rating.